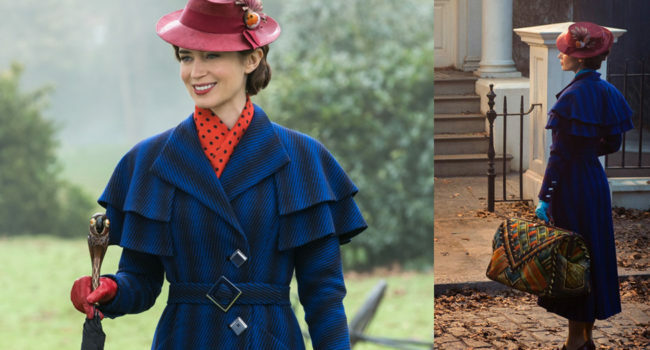 In 2018’s Mary Poppins Returns, Mary Poppins (Emily Blunt) reprises the role made famous by Julie Andrews. Michael Banks, now grown up and widowed, lives with his three children. 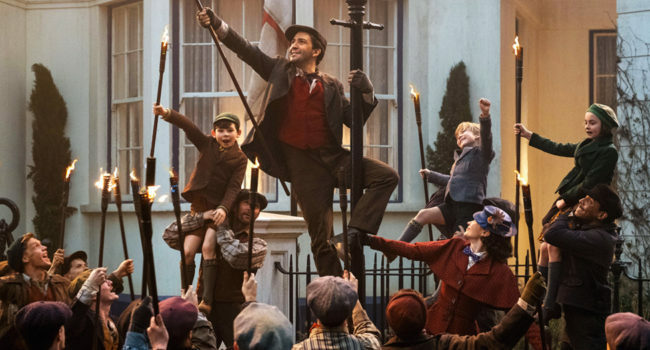 One day, the children chase after Michael’s childhood kite after it’s been blown away by a gust of wind, and none other than Mary Poppins returns with kite in hand.